Let them eat crab cake! 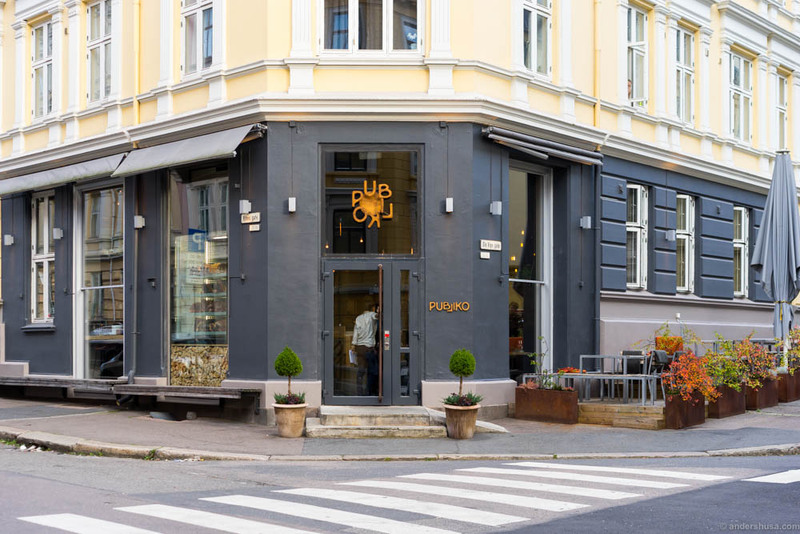 Publiko restaurant opened more than a month ago at Majorstua to a standing ovation from restaurant critics in Oslo. 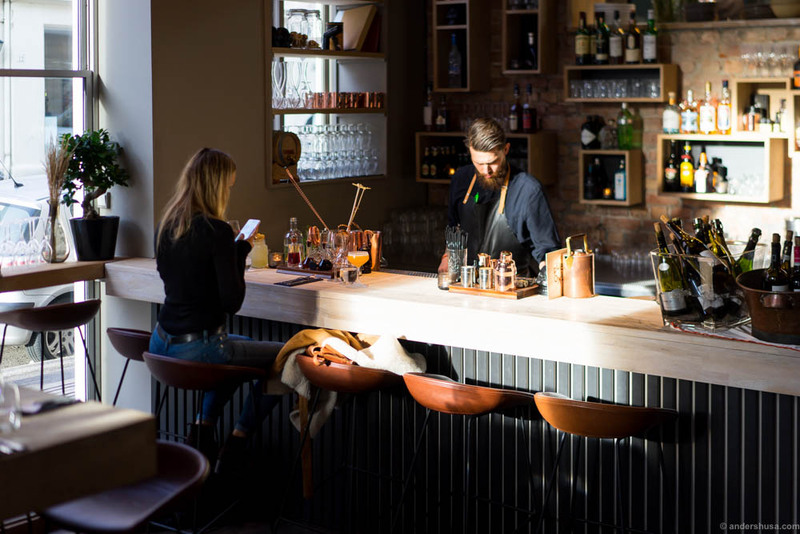 The city seems to have an endless appetite for casual neighborhood restaurants these days – it’s a good thing there are so many districts of hungry residents to cover. 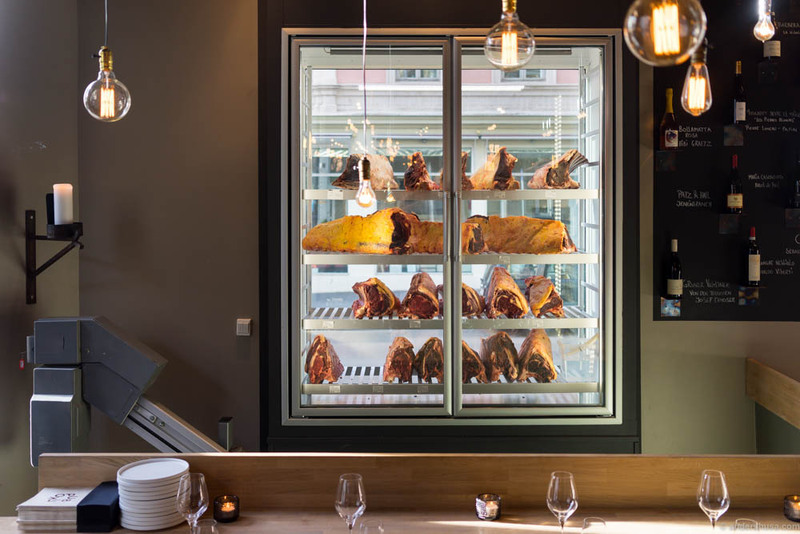 This Nordic bistro applies French techniques and has a mean Spanish Josper grill installed in the tiny kitchen to add smoky flavors to most of the dishes. 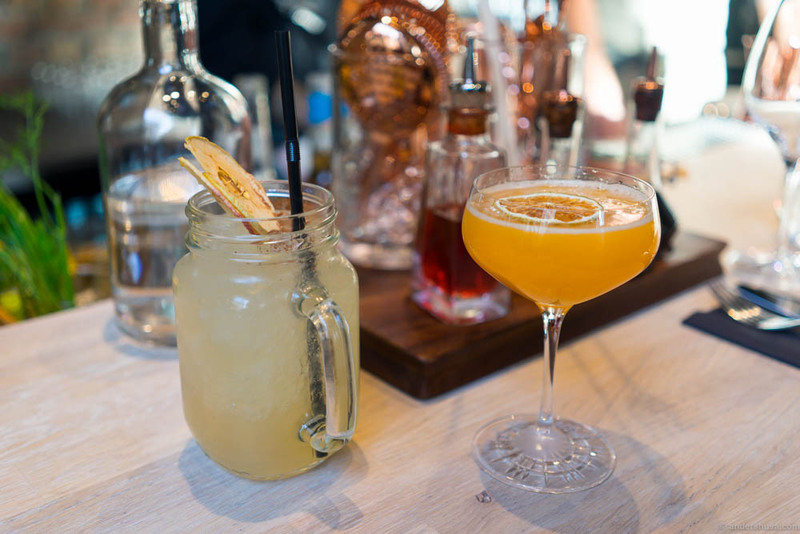 You can either book a table or just drop by for a vacant spot in the bar. 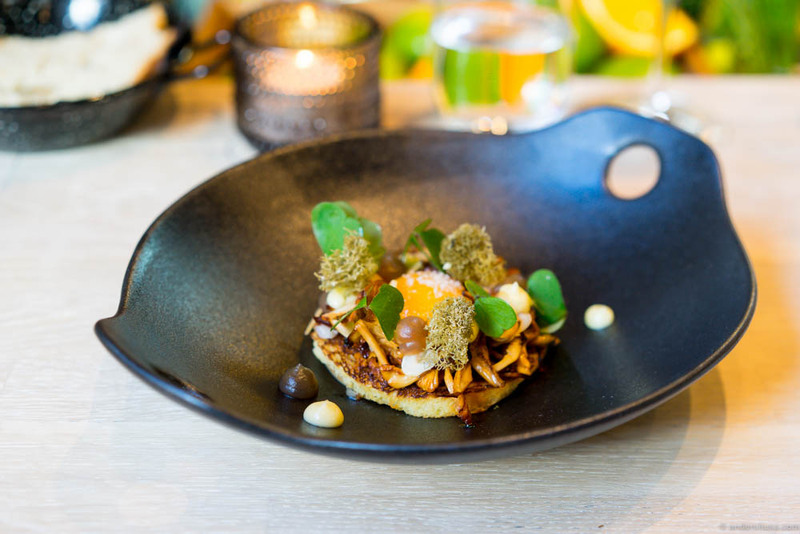 In either case, the menu is à la carte and prices for the medium sized dishes are between NOK 130 and NOK 185. 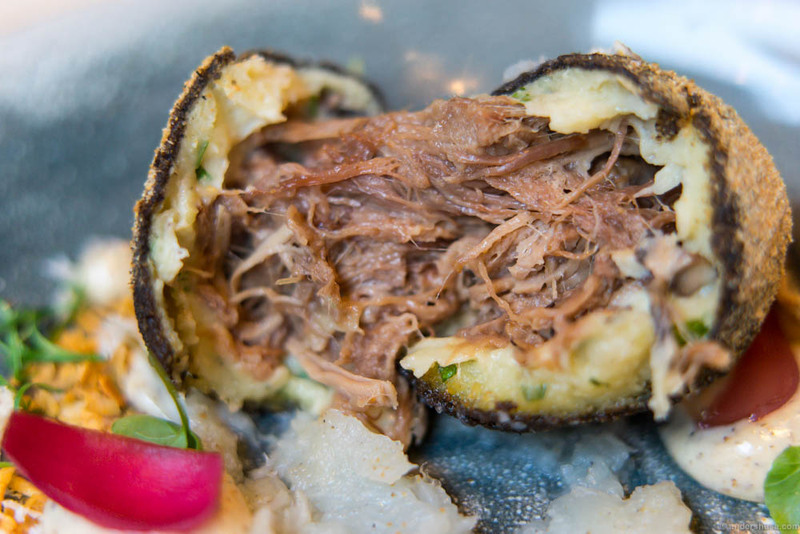 Publiko is open for dinner Tuesday to Saturday and lunch on Saturdays only. 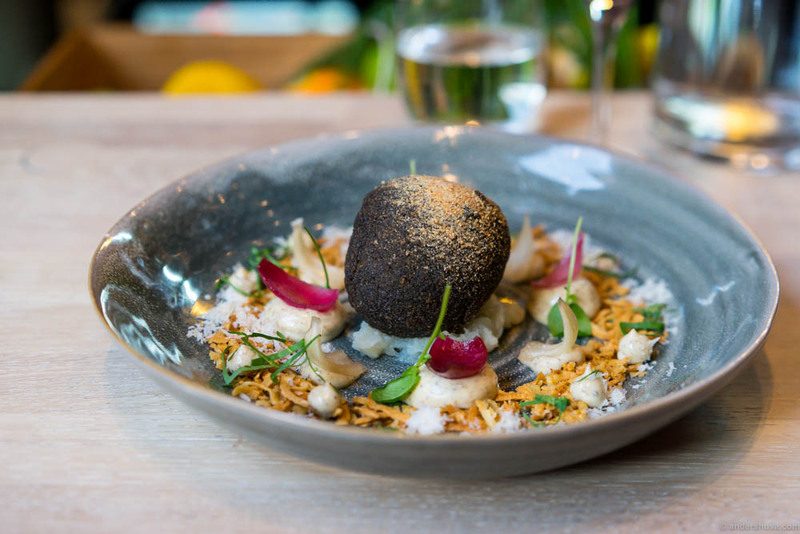 Head chef Morten Klever, who recently led the kitchen at restaurant Strand, run Publiko together with restaurateur Rodrigo Belda of Aymara and Delicatessen. If you read my restaurant rumors you have known about this place for a while, and you might even have had an inside look. After the pre-opening sneak peek I didn’t get a chance to visit Publiko until this weekend. We grabbed a seat at the bar and ordered a taste of the menu. Bar manager Kenneth took care of us immediately and poured the cocktails “Naboens epler” and “Finnmarkingen.” Sweet and sour apple flavors with a dust of cinnamon and an aftertaste of Braastad cocktail cognac in the first and acidic lemon and cloudberries mixed with Himkok vodka and cava in the other. 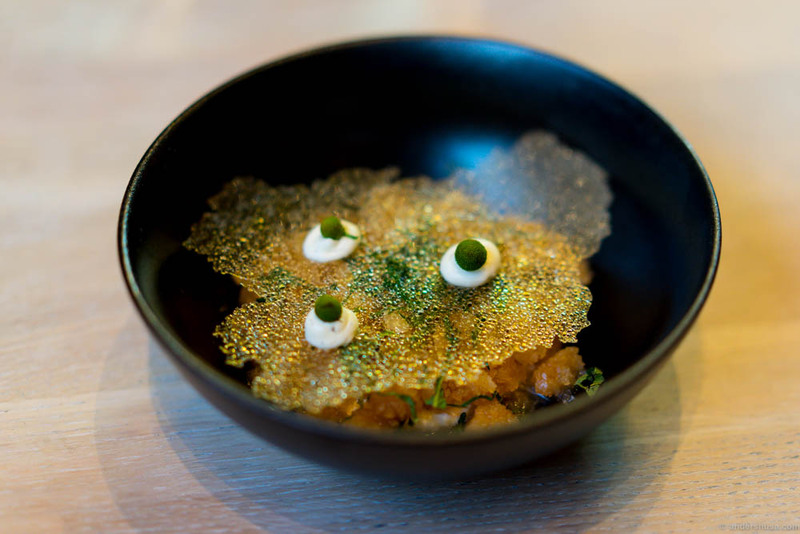 The first two dishes to hit the bar counter were familiar to me from the test kitchen: the “forest floor” with chanterelles, reindeer moss and confit egg yolk on brioche and the praised tartare of dry-aged beef with bone marrow, tarragon emulsion, and horseradish pearls. Their platings are as visually pleasing as the flavors are pure. The brown crab that followed shortly after was also nicely presented, with a disc of green apple as a hat and crutons, oxalis and celery on top. Gentle flavors and different textures that only missed an element of something more pungent to make it stand out – but nevertheless a good crab dish. The biggest surprise, and possibly my favorite dish of the meal, looked innocent in its camouflage presentation. Salt-baked celeriac, red beets, and smoked goat cheese cream. That’s what the menu revealed, but there were also pickled celeriac, roasted pistachio and pine nuts, and a vinaigrette on pistachio oil and apple juice, as far as I could gather. Salt, sweet, acidic and rich in umami flavor. Crunchy, tender and soft. All on one plate. I could actually live as a vegetarian if you just supplied me with enough slow cooked celeriac and beets. Can you spot the saltbaked celeriac, redbeets, smoked goat cheese cream and pistachios? 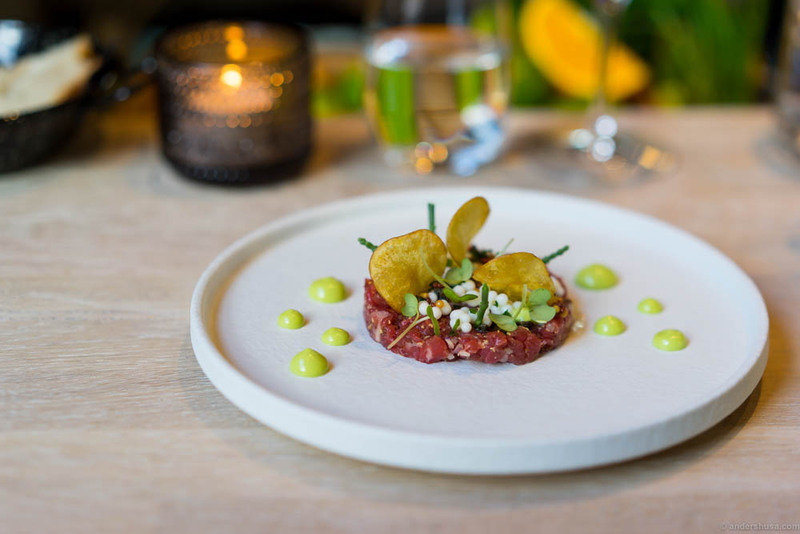 When you get delicious dishes like the forementioned, the main courses of monkfish with cauliflower and mussels sauce, and the perfectly cooked and intensely meaty entrecôte with gremolata appear almost dull in comparison. Publiko quickly kicked our gourmands nuts again, though, with two brilliant desserts. Both rich in flavor, yet light enough to end the meal comfortably. Apples, fresh cheese and vanilla is the lightest and most delicate of the two, with a pleasent acidity that refreshens the palate after a feast of salt and umami. 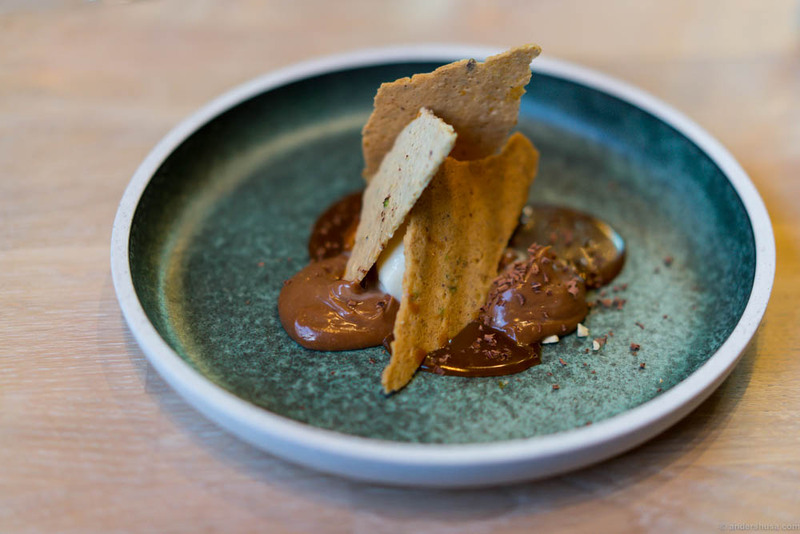 I usually avoid chocolate desserts, but Morten Klever’s creation of airy chocolate, salted caramel sauce and milk ice cream is way up there among the better ones I’ve tasted. A sweet cracker to add crunch and scoop up absolutely every bit on the plate.